Almost 87% of cervical cancer deaths worldwide occur in low-income, developing countries. Cervical cancer screening in remote areas saves lives. Using smart phone camera and text messaging technology, the Pure Art Foundation is proudly participating in the first digital cervicography screening platform with Dr. Karen Yeates of Queen’s University in Kingston, Ontario. 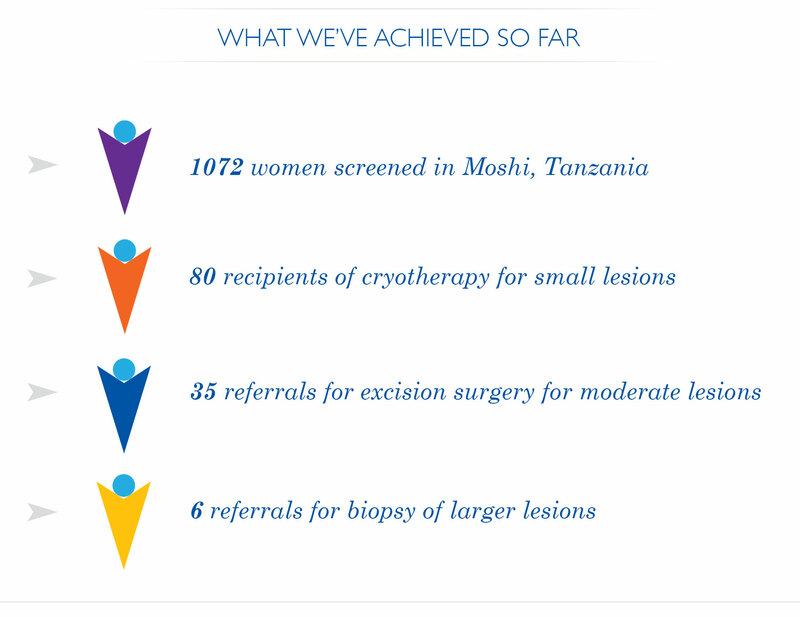 In its initial phase, Pure Art Foundation funding enabled screening of over 600 women in the rural communities of Moshi, Tanzania, where key barriers to optimal health were determined. A study, funded by the Foundation was published in the British Medical Journal and success in the field with the Dr. Yeates team resulted in continued funding, allowing for additional women to be screened. Today, a total of 1072 women have been screened for cervical cancer. As the mobile clinic maintains the program 2 days a week, through to September 2015, screening 75-100 patients per week, more women will be identified for much needed treatment. The STOP Program increases chances of survival, as treatment is made available to early detected lesions among HIV positive and negative women. In order to ensure long term safety, the program has developed a follow up system for the majority of women previously screened, keeping track of any developing signs of cervical cancer.